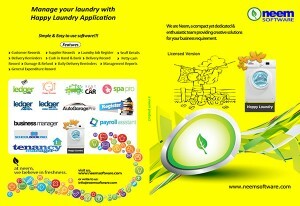 As its name says this software is designed to manage the Laundry Shops. Cloth Collections and Delivery schedules can be managed through this system. Helps to run a traditional laundry with more professional pattern without much changes in their existing infrastructure. The biggest challenge for this application was to create IT awareness among users. But our clients cooperated with us and we made this product much simple to use and now its best fit to use by any users without much IT know how or Typing Speed.